and then walked over and saw my garden had gifts for me! That is definitely the gold at the end of my rainbow and apparently Leia's too! 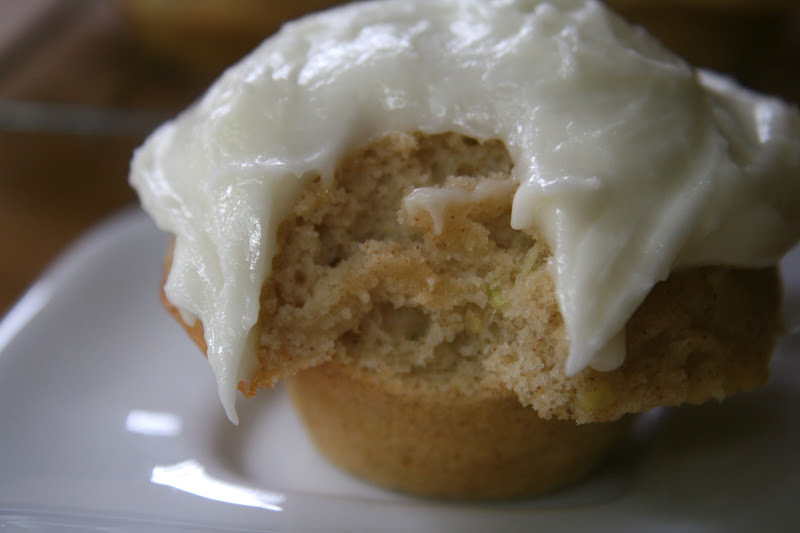 Zucchini season is upon us and you know I could not resist baking with it! I pulled out my recipe from last summer and wanted to make one change...I know, I couldn't resist. This version is fat free. I replaced the (dairy free) butter with applesauce. I also baked them into mini muffins instead of regular muffins this time (somehow I've misplaced my muffin pans). These zucchini muffins are so light and fluffy with a perfectly chewy interior...YUMMY! The boys kept making fun of me because I kept talking about how much I loved my muffin tops...I can't help it, I love a big muffin top (on a muffin that is)! Cream cheese frosting is always a perfect topper for a mildly sweet muffin like this. I like then naked, but the boys love them dressed up! Preheat the oven to 350 degrees. Like muffin pan with liners or spray with oil. In a large bowl, combine the flours through salt and mix well. Mix together the applesauce, egg whites, almond milk and stevia. Add the liquid mixture to the dry mixture and stir just until combined. Then add the zucchini until mixed in evenly. 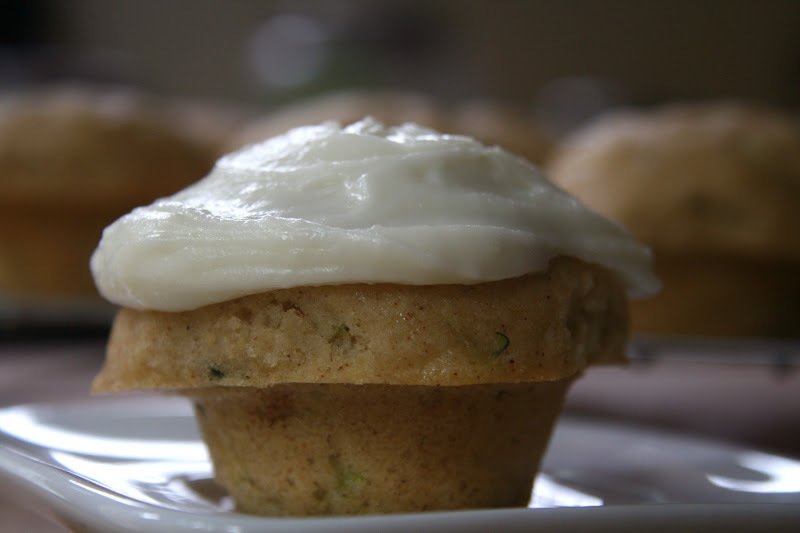 Divide the mixture into the prepared muffin tin and bake 20-25 minutes or until a toothpick inserted in the center comes out clean. Allow to cool before icing. 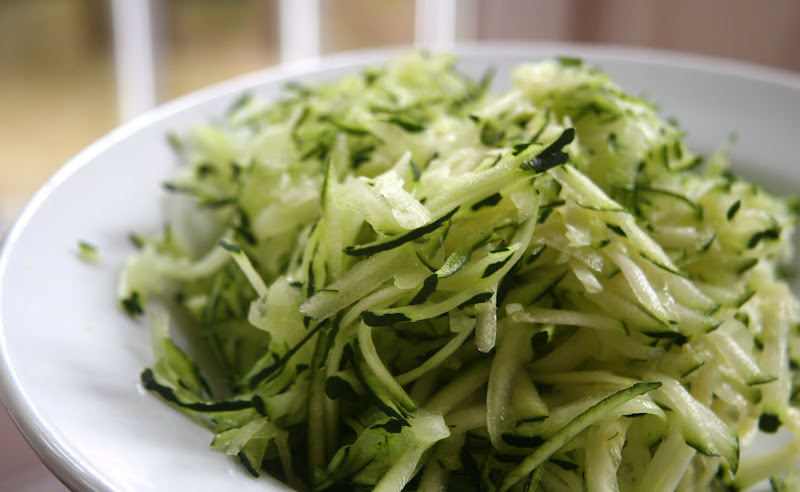 Do you like zucchini? What's your favorite way to eat it? Do you like muffin tops or bottoms? I love both, but I get so excited when that muffin top rices so high! I adore xucchini. My favorite is to just eat it raw, but I also made zucchini muffins the other day with coconut flour and they were delish! Haha. Best blog post title I've seen in awhile! These look amazing! I'm a big muffin top fan too! I also really like zucchini....we're growing some in our garden...I have big plans for those things! I have been saying it for years, but I really mean it when I say I want to make zucchini bread this year! I used to scarf down the stuff my roommate would make. So good. 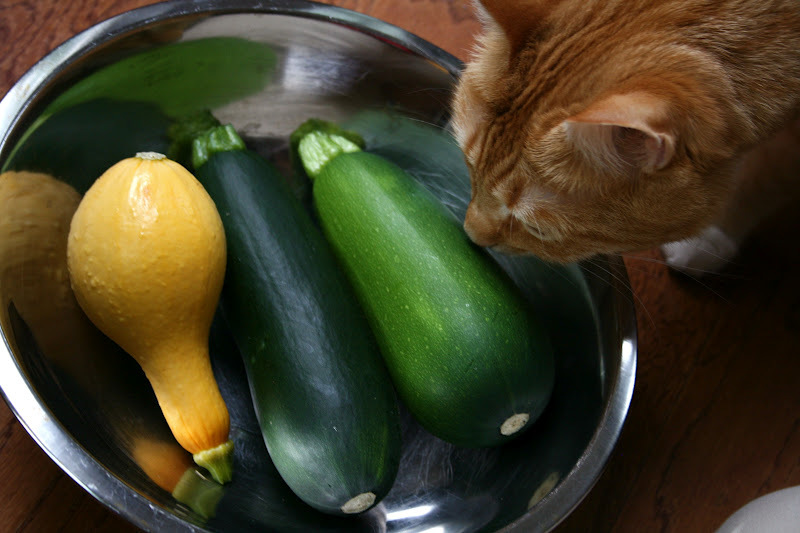 I love zucchini and squash. 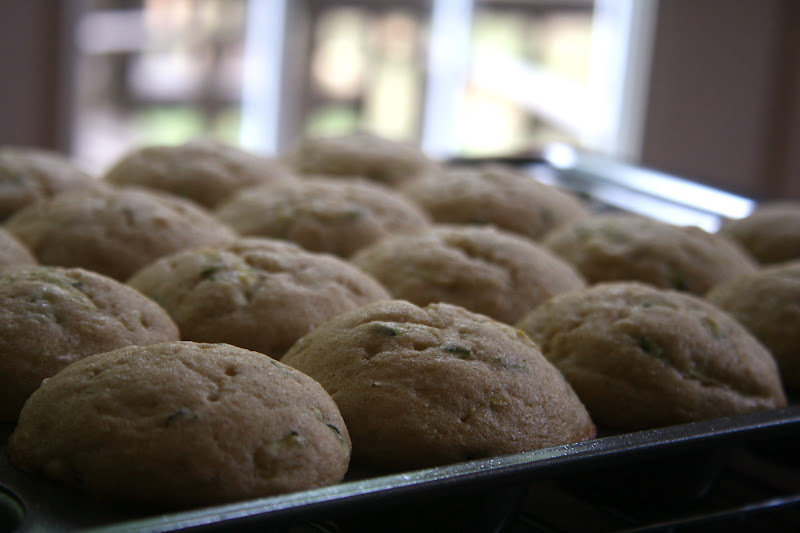 I've actually never had zucchini bread or muffins if you can believe that. lucky you to be growing such lovely produce! and beautiful rainbow! those muffins are making me drool! haha thanks for sharing! Oh my gosh!! Those zucchinis and summer squash are absolutely beautiful!! And those muffins look simply amazing! What a great recipe!! Zucchini are in abundance here too. In fact, I just made my fritters with them that I will post soon. Yummers! And love the title. 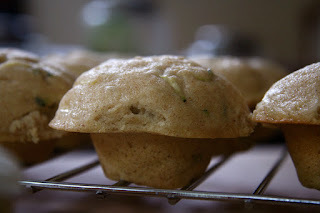 I love zucchini - my favorite ways are in breads (yes, I will be making these muffins!) and sauteed cubes topping a pizza! and I love Tofutti cream cheese, the only one I ever use. Sarena, I just wanted to thank you for this excellent blog. I use the recipes even more now that I also have to be dairy-free (in addition to my DF kid). Can't wait to bake with my own zucchini later this summer. I love this recipe (as with most of yours!) I can't wait to try it! These look so good! Definitely gonna make them when there's an abundance of zucchini in the garden - if not sooner. 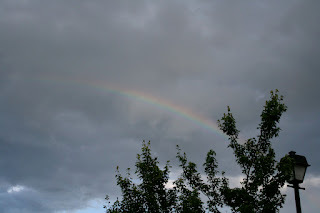 Rainbow!!! 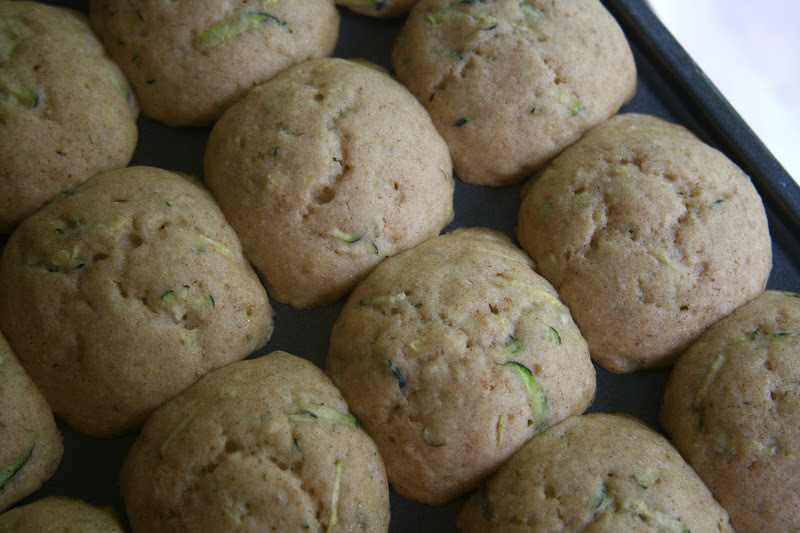 I need to bake more with squash and zucchini-- I cook savory meals with them, but rarely think to bake with them.